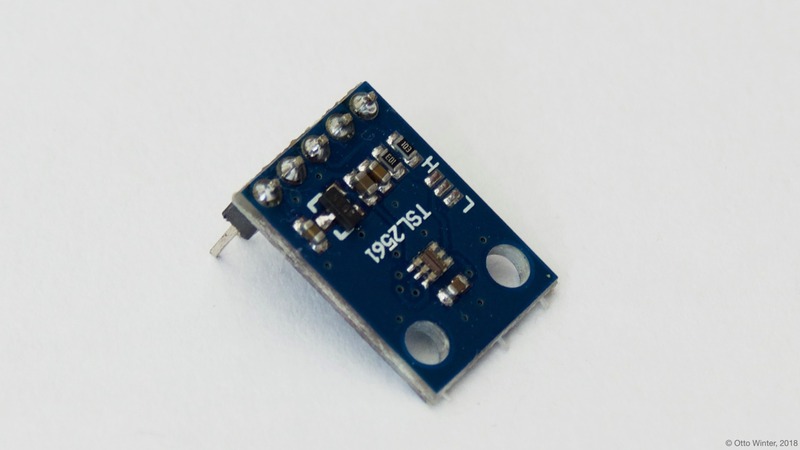 The tsl2561 sensor platform allows you to use your TSL2561 (datasheet, Adafruit) ambient light sensor with ESPHome. The I²C is required to be set up in your configuration for this sensor to work. address (Optional, int): Manually specify the i^2c address of the sensor. Defaults to 0x39. integration_time (Optional, Time): The time the sensor will take for each measurement. Longer means more accurate values. One of 14ms, 101ms, 402ms. Defaults to 402ms. gain (Optional, string): The gain of the sensor. Higher values are better in low-light conditions. One of 1x and 16x. Defaults to 1x. is_cs_package (Optional, boolean): The “CS” package of this sensor has a slightly different formula for calculating the illuminance in lx. Set this to true if you’re working with a CS package. Defaults to false.